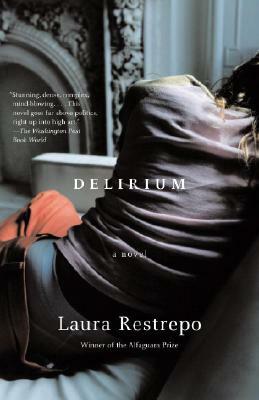 This month we'll discuss Delirium by Laura Restrepo. In Found in Translation we will delve into a work of international literature in a small group setting while enjoying coffee, beer, or wine drinks from First Draft Book Bar, located in Changing Hands Phoenix. Stop by Changing Hands Phoenix or Tempe (or order online by clicking "add to cart" below) to get your copy of Delirium for 10% OFF. In this remarkably nuanced novel, both a gripping detective story and a passionate, devastating tale of eros and insanity in Colombia, internationally acclaimed author Laura Restrepo delves into the minds of four characters. There's Agustina, a beautiful woman from an upper-class family who is caught in the throes of madness; her husband Aguilar, a man passionately in love with his wife and determined to rescue her from insanity; Agustina's former lover Midas, a drug-trafficker and money-launderer; and Nicolas, Agustina's grandfather. Through the blend of these distinct voices, Restrepo creates a searing portrait of a society battered by war and corruption, as well as an intimate look at the daily lives of people struggling to stay sane in an unstable reality.